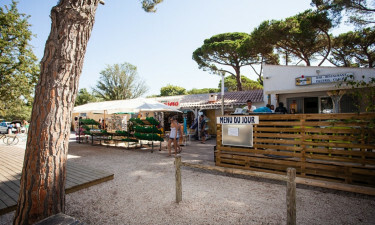 The luxury camping site of Le Pansard is found at the foothills of the picturesque Maures Mountains and quite close to Les Iles d'Or (Islands of Gold). Thanks to unsurpassed levels of privacy, immaculate beaches and stunning pine forests, this camping holiday will provide memories to last a lifetime. As always, Lux-Camp will be more than happy to answer any additional queries that you may have. Why Should I Camp at Camping Le Pansard? A nearby pine forest covers no less than 7 hectares. Guests can choose from a selection of modern and spacious mobile homes. 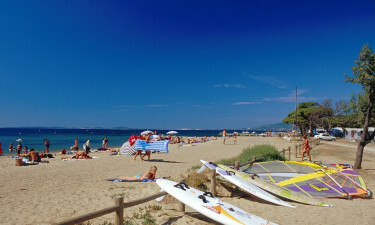 Popular activities include surfing, snorkelling, diving and swimming. This facility can accommodate the needs of young children. A bar and restaurant are both found only minutes away from the camping pitches. A grocery store is stocked with fresh fruits, vegetables and bread. Snacks, pizzas and a takeaway menu are also available. The grocery store contains other items such as maps, souvenirs and toiletries. Not only can an on-site pool cater to those who wish to remain close to their mobile home, but the port of La Londe is only 5 minutes away by foot. The shores and beaches of the Mediterranean Sea are truly stunning and these waters are notably warm during the summer months. 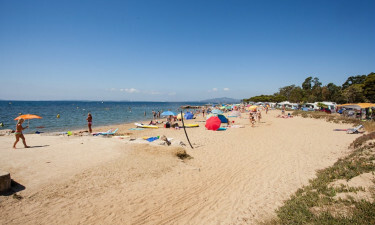 Some facilities that are contained within this luxury camping resort include a sanitary station, a complete laundrette and a baby changing area. Wireless internet is found throughout the site.